Stay in the Loop with LGBTQ happenings in Western New York with LOOP Magazine. Click here to read the June issue! Stay in the loop with this month’s LGBTQ happenings in Western New York, brought to you by LOOP Magazine. In the summer of 2007, VARSITY GAY LEAGUE was created as an alternative for the monotony of the bar scene. Varsity Gay League’s goals are to provide inexpensive sports leagues, recreational activities, and social events for the LGBT+ community and our straight allies! Stay in the Loop with this this week’s LGBT happenings in Western New York, brought to you by Loop Magazine! Stay in the loop with this month’s LGBT happenings in WNY. 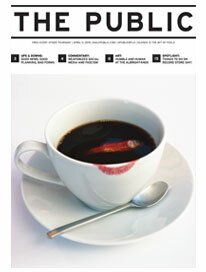 Click below to read February’s issue of LOOP Magazine!